At some point, it has to be about more than just a finish… a check box that gets marked off, a line drawn through a to-do list! The process, the ride, the journey has to count for something meaningful! The present is where we are learning and growing.. this is where we become who we are meant to be! 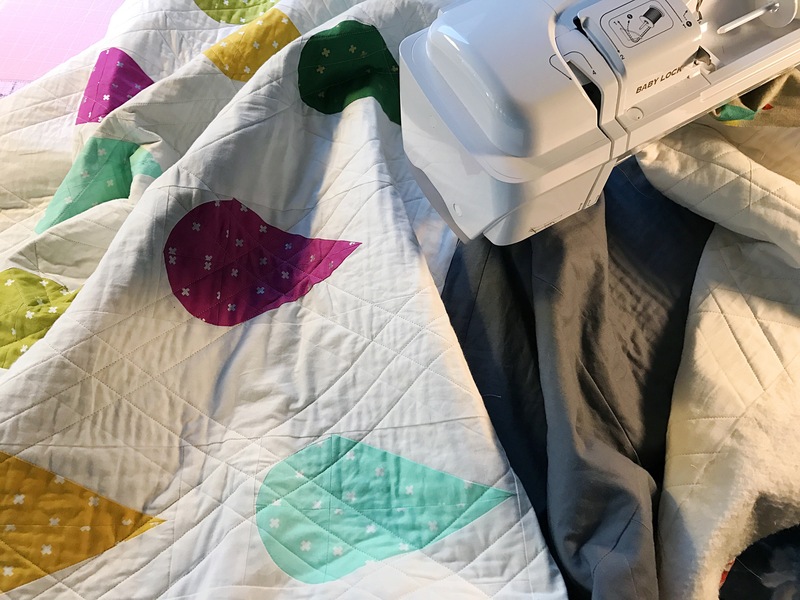 I decided I would not rush this quilt to be done just to be able to move on to the next quilt…oh how I want to get on with it! However, the people I love benefit greatly when I’m patient, and when I persevere…how am I ever going to learn that if I don’t practice it! Just like I took practicing feathers a few steps at a time, I’m working a bit on patience here so that when it’s required of me for REALS, there will be a bit of muscle memory… I’ll flub it up, need grace, have some “bobbles” like my quilting…but intentionally slowing myself down will help it not be so foreign when it comes to those I care most about!